It’s a question we get asked all the time – should I lease or buy my next vehicle? And the answer is – it depends! If you like the idea of driving a more expensive vehicle for a smaller monthly payment, leasing is a great option. However, if eventually owning the car is important, financing or purchasing a vehicle outright is the way to go. Leasing a vehicle ensures that you will always be driving a new-model vehicle with up-to-date safety and technology features; the monthly payment is much less than if you purchased the vehicle. Very often you won’t have to pay for warranty-covered repairs as most lease terms are 36 months. And — you don’t have to deal with the hassle of selling the vehicle at the end of your lease. Are there restrictions on driving a “borrowed” vehicle? When you enter into a lease agreement with a dealership, it’s for a set length of time. Typically most leases are 24 months or 36 months. You can customize miles per year allowed on the lease. So a lease for a compact vehicle might be $199 per month for 24 months. If you go over the agreed upon miles there will be a charge, typically between $0.10 and $0.25 per mile. That’s something that you know up front before you enter into any deal. Can I drive a leased vehicle like I would any other vehicle? You can drive and operate the vehicle in the same manner as if you purchased the vehicle outright. However, if you do not plan to purchase your vehicle at lease end, you will need to schedule a lease-end inspection so the condition of the vehicle can be evaluated. If there is significant wear and tear that is not covered by any additional coverage purchased at the time you leased the vehicle, you may be assessed additional fees. How are the monthly lease payments determined? In determining the monthly payment structure, a lessor is primarily concerned with the extent to which the vehicle will depreciate throughout the lease and the cost of borrowing money to finance the car during that period. First, the adjusted capitalized cost is determined. This figure represents the real purchase price after elements such as the down payment, incentive discount and trade-in credit are deducted from the capitalized (actual) cost, while any fees or charges are added. We are required to publicize all leases’ down payment amounts, lengths, residual values and interest rates in our lease offers. As we mentioned above, most leases rely exclusively on the residual value in determining the end of term purchase price. These closed-end deals require you to pay the fixed residual amount regardless of the actual market price. In the end, it’s up to you. You know your driving habits best. 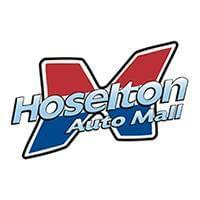 Whether you’re in the market to lease or looking to purchase, Hoselton can help! Give us a call at 585-586-7373 or stop in Monday through Saturday to see our inventory of new Nissans, Chevys and Toyotas or our large selection of pre-owned vehicles at the Pre-Owned Super Center. It got me when you said that leasing will give us access to the latest model of the car that we want. I will definitely consider this way of having my first car. This is because I badly wanted to have the latest of the Lexus model that I have been following since I was in high school. Now that I have a job, I can finally get the dream car of my own without breaking the bank.